Today, there isn’t a team-based shooting game more popular in eSports than Counter-Strike: Global Offensive in both the Philippines and the entire world – watched by millions of gamers and fans each year. The CS:GO betting scene has been around for a little while and is just now hitting its stride with eSports becoming mainstream. Let us teach you how to legally bet on CS:GO and which sites are best for betting on eSports. Is it legal to bet on CS:GO eSports in the Philippines? Yes! Any Philippine resident who is age 18 and over can legally bet pesos on CS:GO or any other eSports matches online. Each of the betting sites below has been reviewed by our staff and we can confirm each online sportsbook on this page is both safe and legal. Local options are few and far between in the Philippines since casinos and sportsbooks with the country, like MegaSportsWorld, can’t offer bets on local eSports or match the odds of the betting sites we recommend. In addition, the sites below offer numerous welcome bonuses for Filipino CS:GO gamers and fans. There are a few important details to keep in mind before placing any real money on the most popular eSports shooter in the world. Counter-Strike: Global Offensive is played differently from other eSports, and our goal is to you fill you in with the most vital information when betting on CS:GO eSports. 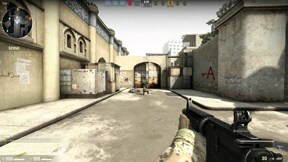 The game is an online multiplayer first-person shooter (FPS) where two teams compete 5v5 in a best-of-30 rounds format determine the winner of a map. A team with the most maps won will win the best-of series. Both teams take turns as two sides: Terrorists or Counter-Terrorists. Players earn money for their performance which can be used for weapons and equipment the next round. How is CS:GO played in eSports? Matchups are typically played in a best-of-three or best-of-five series where the first team that wins 16 rounds (and by 2 rounds) wins the map. Tournaments and events are played every day in both the Philippines and several countries around the world. To win a round as the Terrorists, a team must plant a bomb and detonate it or eliminate all the Counter-Terrorist side. To win a round as the Counter-Terrorists, the team must prevent or defuse a planted bomb or eliminate all members of the Terrorist side. How do I bet on CS:GO eSports? The first step to take is to choose one of the legal eSports betting sites mentioned near the top of the page and enter the necessary information while signing up. Next, choose the amount of money you’d like to use for betting on CS:GO eSports. Pesos are sometimes accepted, but not always. We recommend converting to cryptocurrencies as it speeds up the process and makes your transactions anonymous. Lastly, find the CS:GO section under the eSports tab and check out what lines and odds are available on tournaments and events currently being held. Account holders can also bet on other eSports including League of Legends, Dota 2, and more. What are the types of CS:GO Bets? Knowing what each of type of bet on CS:GO actually is important before placing any money on a betting line. Because betting lines are different from traditional sports, we defined the most common bets you’ll see at the most trusted eSports betting sites we recommend. What are CS:GO betting odds? Betting odds on CS:GO eSports tournaments and events are frequently on display at the betting sites we’ve listed, but what exactly do these numbers mean? Here is a simple way to understand how odds work when betting. A Negative Number indicates the favorite side of the betting line and is an outcome more likely to happen with more money being needed for the wager to receive less of a payout due to the high chance of the bet being won. Example: (-200) requires 200 units of money to win 100 units of money. A Positive Number indicates the underdog side of the betting line and is an outcome less likely to happen with less money being needed for the wager to receive a larger payout due to the low chance of the bet being won. Example: (+475) requires 100 units of money to win 475 units of money. Making money for simply placing wagers on CS:GO eSports is not as easy as you might think. There are numerous factors in play for each side during every round of every map. However, because CS:GO has perhaps the most ways to bet on a match, there are more opportunities to find value and develop a bankroll much faster than even traditional sports. Because you can literally bet on each round won, a bet can be placed roughly every three minutes of a match. The key is to not go all in but bet small units, typically 1-2% of the bankroll for any bet, and make small steps toward significant profit. Going all in and losing is the biggest mistake by people who bet casually. The professionals have made a living with this method and it is a tactic all Filipinos should apply when betting on CS:GO eSports.